This is the most amazing TV! 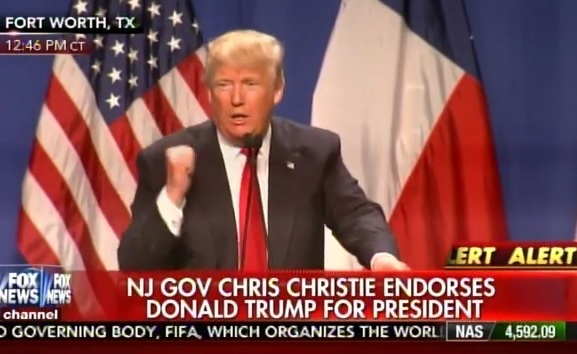 Donald Trump went after Marco Rubio Friday at his Fort Worth rally with Governor Chris Christie…. Trump said Marco was backstage putting makeup on with a trowel… He was trying to cover up his ears. Trump spoke to a packed arena in Texas on Friday.